Robert Hopkins, who was one of the first scientists to exploit the computer as a tool for designing optical systems and also among the first to recognize the important role the laser would play in the future of subjects like solid state physics and quantum physics, died July 4 at Bridges Cornell Heights in Ithaca, N.Y. He was 94. His lens designs included the Todd-AO lens used to produce high definition, wide aspect-ratio films shot on large format film, beginning with "Oklahoma!" in 1955. 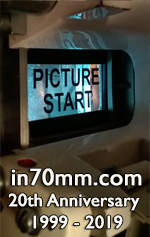 The technology superseded the complex, three-projector Cinerama process and made possible the widespread creation and projection of 70 mm wide-screen movies. 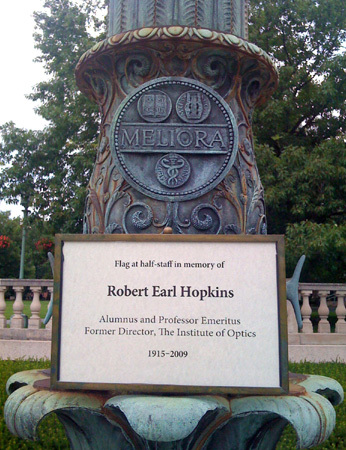 The former director of the University of Rochester's Institute of Optics and a University of Rochester alumnus, Hopkins was a world-renowned innovator in the field of lens and optical system design and he trained and inspired hundreds of students who went on to leading positions in the field of optics. 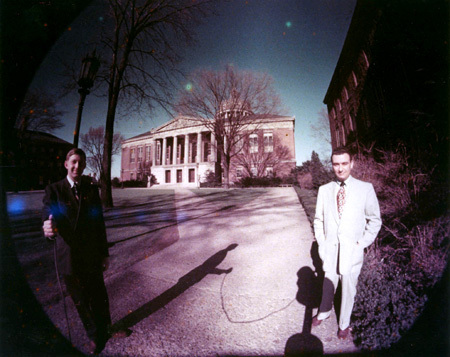 One of the very first images taken with the "Bug Eye" Todd-AO Lens designed by Robert Hopkins. Left is Walter Siegmund. Right is Bill Cloghtar. Note Walt is holding the shutter release in his right hand. Also note the shadow of the 128 degree lens on Bill's right side. Picture taken around summer 1953 at the University of Rochester's courtyard. The building in the background is in fact the most recognized building on the University of Rochester campus, the Rush Rhees Library. Hopkins received his master's and doctoral degrees from The Institute of Optics, in 1939 and 1945 respectively, directed The Institute of Optics from 1954 to 1965, and was a member of the Rochester faculty from 1945 to the 1980s. In 1953, he co-founded Tropel, Inc., a firm dedicated to manufacturing precision optical systems and instruments for industry. His achievements at building Tropel and the success of one of his professional colleagues, John H. Bruning, led to the creation of the Robert E. Hopkins Center for Optical Design and Engineering in 2007. A $2 million gift from Bruning, who is the former CEO of Tropel Corporation, established the Hopkins Center within the Robert B. Goergen Hall for Biomedical Engineering and Optics. "I remember my first class with Bob when he said that after a while you can look at a lens design and tell whether it will work," said Duncan T. Moore, Rudolph and Hilda Kingslake Professor of Optical Engineering at Rochester. "I was incredibly doubtful, but about 10 years later when I taught optical engineering, I realized he was right. He also was a great entrepreneur at a time that the role of a university in economic development was 40 years in the future," said Moore, who also is vice provost for entrepreneurship at Rochester. "More than 50 companies have been started by Institute of Optics faculty, students, and staff. What a legacy!" Robert Earl Hopkins, [died] July 4, 2009 at home at the Bridges Cornell Heights in Ithaca where he was a resident for the past 3-½ years. He had just turned 94 years. Known as “Hoppy” by his colleagues, “Porters” by his family, and “Bob” at the Bridges, he was beloved by his large family, his students, colleagues, and friends. 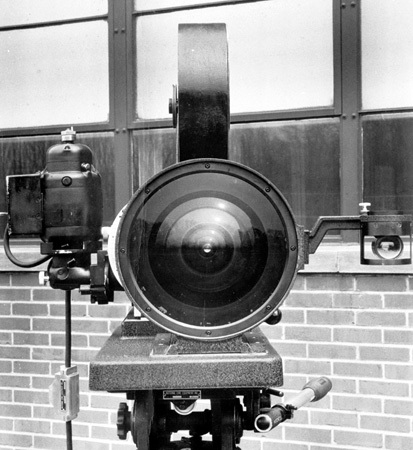 The massive Todd-AO lens designed by Robert Hopkins covering a 128 degree field of view. Wayne Knox, current director of The Institute of Optics, said that Hopkins is widely revered as the "father of optical engineering. He is one of the icons in the field," Knox said. Bruning remarked on Hopkins' contributions: "Bob gave enormously to the world of optics as a scientist, an engineer, an entrepreneur, and leader. He was a significant figure in optical engineering and his history at the University of Rochester will continue to inspire future generations of students." Robert Earl Hopkins was born in Belmont, Mass., on June 30, 1915. He grew up in Weston, Mass., and graduated with a bachelor of science degree from MIT in 1937. After earning his advanced degrees at Rochester, he worked in the Naval Office of Research and Development and was awarded a U.S. Navy Citation for outstanding wartime service in 1948. During his years at Rochester, Hopkins traveled frequently to Ithaca to use an early computer at Cornell University, and brought the first computers to the University of Rochester in 1955. In 1963, he organized the "Laser Road Show" for the National Science Foundation to introduce laser technologies at colleges, universities, and corporations. Hopkins left Rochester in 1967 to serve as president of Tropel, Inc., a world leader in customized precision optical instrumentation that is now a division of Corning. He returned to the University's Laboratory of Laser Energetics as chief optical engineer from 1975 to 1982 and continued to teach as professor of optics and as professor emeritus. "During his long and productive career, Bob Hopkins brought remarkable insight, energy, and humanity to optical science and engineering," said Thomas G. Brown, professor and director of the Robert E. Hopkins Center for Optical Design and Engineering. "As co-founder of Tropel and a distinguished professor and director at The Institute of Optics, he had an impact on both the technology and the future leaders who would be responsible for carrying that knowledge to the next generation." 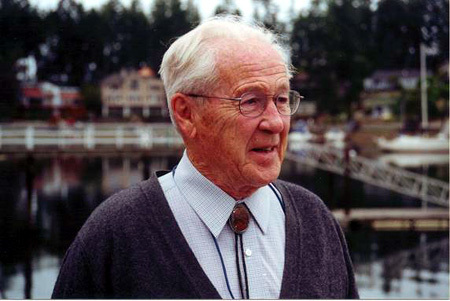 Hopkins' accomplishments were honored by membership in Sigma Xi, the American Society for Engineering Education, the American Physical Society (Fellow), the Optical Society of America (Fellow, Director 1955-60, Ives Medal 1970, President 1973), and SPIE, the international society for optics and photonics (Board of Governors, Gold Medal 1983), and he served on numerous advisory panels. In addition, the Robert E. Hopkins Professorship in Optics was established in 2002 at Rochester in his honor. James R. Fienup now holds the professorship. Hopkins was predeceased by his wife of 60 years, Barbara Ann Barnes, and is survived by six children and their spouses: Roger (Ruth Allen) and Carl (Kathy Harpham) of Ithaca; Nancy (Dave Merritt) of Wilmington, N.C.; Robert, Jr. (Maria Kratz) of Duxbury, Mass. ; Mark (Linda Galloway) of Rochester; and Andrea (Dave Stephenson) of Madison, Conn.; and by 17 grandchildren and five great-grandchildren. A memorial celebration of his life and reception will be held on Sunday, Aug. 16, at 1:30 p.m. at the University of Rochester Interfaith Chapel. Friends wishing to make donations in his honor may consider the University of Rochester Institute of Optics, the Finger Lakes Land Trust, Hospicare and Palliative Care Services of Tompkins County, or their favorite charity. The University of Rochester is one of the nation’s leading private universities. Located in Rochester, N.Y., the University gives students exceptional opportunities for interdisciplinary study and close collaboration with faculty through its unique cluster-based curriculum. Its College, School of Arts and Sciences, and Hajim School of Engineering and Applied Sciences are complemented by the Eastman School of Music, Simon School of Business, Warner School of Education, Laboratory for Laser Energetics, Schools of Medicine and Nursing, and the Memorial Art Gallery.